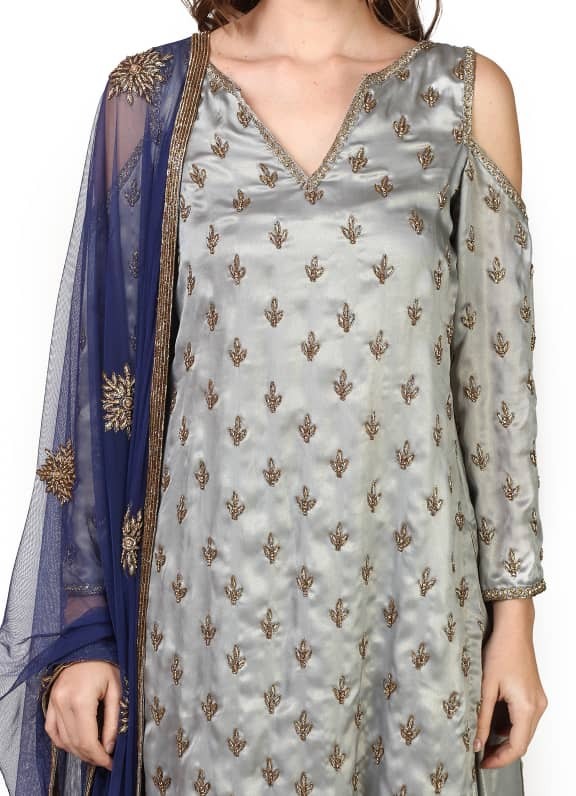 This set features an ice grey kurta in satin base with antique gold embroidery. 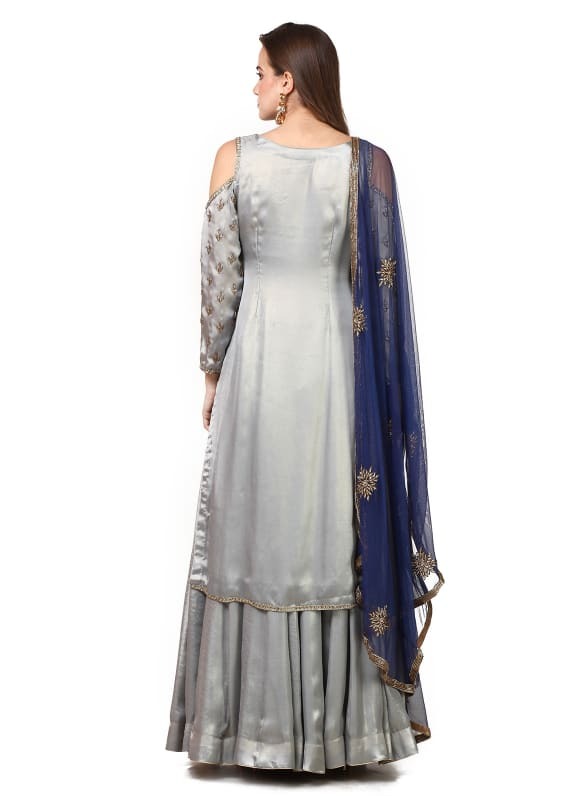 It is paired with a matching tissue lehenga skirt and blue net embellished dupatta. 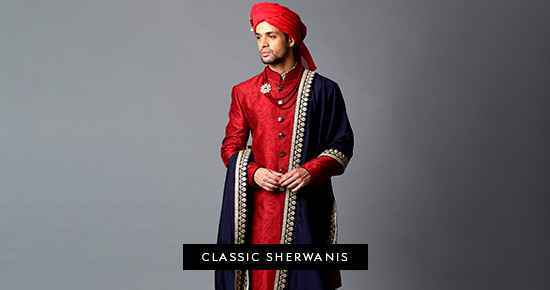 Wear this festive ensemble to a family gathering or an engagement party. Pair your look with earrings by Maithali Kabre.